A compelling alternate history novel by the breakout author of WW II era alternate history Himmler’s War and Rising Sun. Had the Battle of the Capes gone differently, a changed, darker, New World would have been forced into existence. But even under those dire circumstances, Liberty may still find a way! 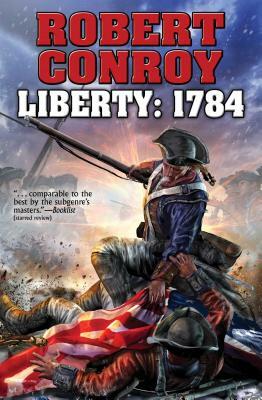 Robert Conroy is the author of a run of hugely popular alternate history novels, including Himmler’s War, Rising Sun, 1920: America's Great War, Liberty: 1784, and 1864: Custer in Chains for Baen Books. His 1942, which is set within a Japanese conquest of Hawaii, won the prestigious Sidewise Award for alternate histories. Conroy has written for Military History magazine and has traveled extensively in Europe where he’s taken a special interest in battlefields, historical collections and castles. After a first career in business, Conroy has turned his lifelong passion for writing and military history into an immensely satisfying new occupation. He is married and lives in southeastern Michigan.